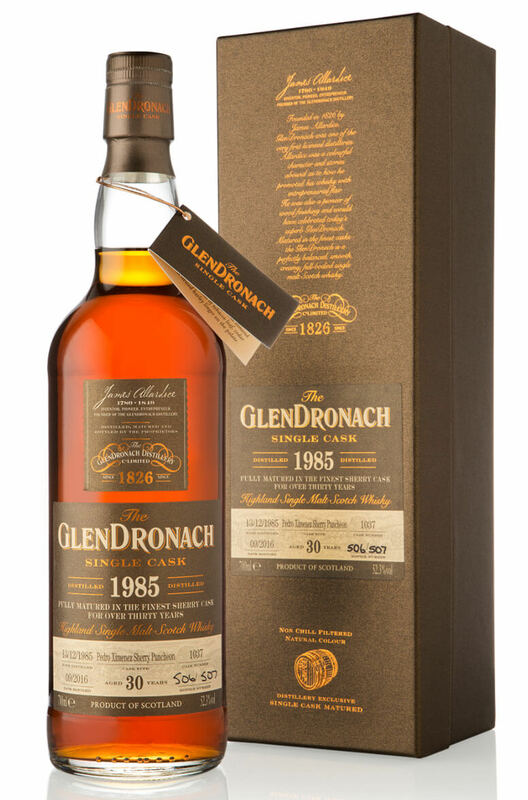 A superb 30 year old expression from Glendronach's 14th release of specially selected single cask whiskies. This has been matured in a Pedro Ximenez sherry puncheon which yielded 507 bottles. Aromas (with water) Rich raisin fruit cake with subtle hints of dark chocolate and orange marmalade. Flavour Fruit malt loaf with a dusting of ground almond and aged-oak spice. Hints of tobacco leaf, cedar wood and stewed barley linger on the palate.